Directions: Grab paper and pencil. Write a solution to the following problems. Be sure to show your work to support your answer. Check your answer when finished. A horse is galloping at 60 feet per second and a greyhound dog is running at 40 miles per hour. Which animal is running faster? A concrete patio is being constructed. The patio is 20 feet wide and 6 inches thick. A concrete truck is at the job site holding 8.6 cubic yards of concrete. How long will the patio be, to the nearest foot, if constructed from the amount of concrete on the truck? 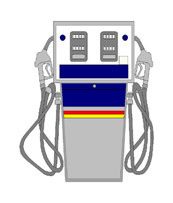 Gasoline costs $3.586 per gallon. Your car gets 24 miles to one gallon of gas. The distance from your home to your favorite camping site is 280 miles. What will be the cost of the gasoline for a round trip to the camp site? Jason recorded the amount of time he spent studying for his final examination in physics. a. 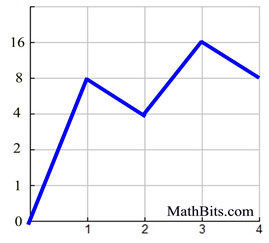 Describe how you would determine which scale and unit to use when creating a scatter graph to represent his set of data. 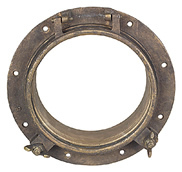 The diameter of the glass in a circular portal window is 0.8 meters. Find the area of glass, taking accuracy of the answer into consideration. 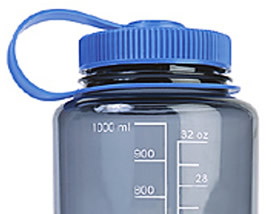 A water bottle shows a marked scale measuring 1000 ml and 32 oz. The 32 oz mark is shown to be less than the 1000 ml mark. How many additional ounces of water (beyond 32 oz) are needed to fill the bottle to the 1000 ml mark? From the comparison of the rulers at the right, it is hard to see if 5 centimeters is equivalent to 2 inches. Show, mathematically, the relationship between 5 centimeters and 2 inches. 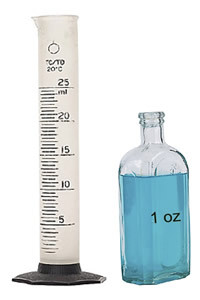 A researcher has a graduated cylinder with a measuring capacity of 25 ml. and a bottle containing 1 oz. of an unknown liquid. If the researcher empties the bottle into the cylinder, will the liquid exceed the 25 ml. measuring capacity of the cylinder? Support your answer with mathematical calculations. Two speed signs are as shown at the right. 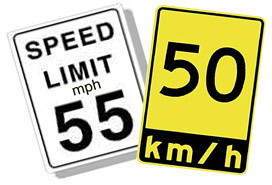 Which sign allows for a faster speed? Describe what is wrong with the graph shown at the right.